Are you struggling with an area of your life today and looking for peace? 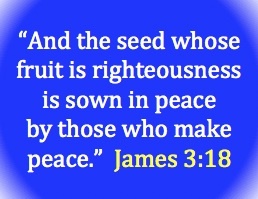 The Bible has some great verses about the topic of peace. This article will guide you through some of my favorite peace Bible verses and give you some areas of your life you can focus on to lead to peace. I pray these scriptures are helpful today. If you have another great peace Bible verse that was not on this list, please add it to the comments. I encourage you to study the Bible deeper by looking up these verses and getting the context they come from. There are many other great resources out there also to learn on Bible study topics. When we study the Bible and the topic of Peace, a great place to start is with the words of Jesus Christ. These passages are some of the favorites of mine and many other people as they speak comfort and courage into my life. When I struggle with anxiety, I look no further then Jesus saying in John 16:33 that He has overcome this world and gives us peace. We can rest safely in our salvation and cling to these words from our Savior. The Bible is full of direction and instruction. The topic of Peace is a great one as the Bible has given us so many Scriptures that speak to specific things we can do to gain that Peace that transcends all knowledge. Take one or two of these things today and start applying them to your life and watch as you become more at peace. 2 Corinthians 13:11 Finally, brothers, rejoice. Aim for restoration, comfort one another,agree with one another, live in peace; and the God of love and peace will be with you. 1 Peter 1:2 according to the foreknowledge of God the Father, in the sanctification of the Spirit, for obedience to Jesus Christ and for sprinkling with his blood: May grace and peace be multiplied to you. Christians are to speak truth to the lives of those that are lost but we are also to show what Christianity is by being at peace with them. Read these New Testament Bible Scriptures on Peace and lay them next to your daily life. Are there areas that your life is not aligning with these passages? Now is the time to change! I will leave you with these four great quotes from the Bible on peace. Isaiah 9:6 is another one of my favorites as it gives such great descriptions of Jesus and calls Him our Prince of Peace. Thanjs for doing this. These really helped and made me feel better. Thanks for your insight. It gave me a special blessing. May God thru Jesus continue to use you , as His Spirit guides and directs you. I love this acronym. Going to share it with others. thank you for these scripture verses. So comforting to know we are not alone. I am printing these off for myself to refer back to later. IT IS SO TO BE REMINDED OF HIS PEACE FOR, OUR HEARTS NEED SOME ENCOURAGEMENT THAT GOD HAS AND WILL ALWAYS GO BEFORE US, TO MAKE AWAY IN PEACE, HE IS WITH US ALWAYS. First of all thanks for the information on the peace scriptures. As I was praying the Lord was just reminding me of the word ‘peace’ and He showed me that it means ‘nothing missing and nothing broken’. In psalm 115.12 He says that He is mindful of us. My next thought is, what is He mindful of concerning me. Then I went to Jeremiah 29.11 which says, “thoughts of peace and not of evil”. The word for peace is SHALOM. Which means nothing missing and nothing is broken. Therefore, God is asking us what are you worried about? Nothing in your life is missing and nothing is broken, that’s the way I see you. Start thinking that way, and start speaking that way so that I can bring this to pass in your life. (I have made provision for everything necessary in your life). Praise God. God is an amazing God and how amazing is his prevision. Thank you. Thankyu so much for the scriptures,whre am working and is in a church hospital,where my Pastor is the C.E.O everyone is against and has always been against me… only because i rebuke like pride,gossip mishandling of patients ,lack of job ethics e.t.c.They wait until i go astray unknowingly and they call him SOS and report me……i have been summoned by the C.E.O severally.Yesterday, he told me in presence of his mngmnt team that it will be very dificult for them to renew my contract, he is tired of my sorry.Now my contract is ending this may 11 this year,havent looked for job anywhere else because i had dedicated all my efforts there to the groly of God.I thank God that on reading his word on peace am encouraged n i bless the almighty God for this.Thankyu so much. I did so enjoy your visiting your web page and found it of the utmost value… It’s such a blessing to know that others care enough to share the Word of God thus giving hope to other believers! your teaching has truly blessed my spirit to the highest.